Ressurrection Remix Oreo shortened as RR Oreo v6.0.0 ROM based on Android 8.1 is now available to download for many devices. LineageOS based Resurrection Remix ROM is one of the popular custom ROM after LineageOS (formerly known as CyanogenMod) which was not available for any device till last week. Latest of RR ROM is the Resurrection Remix Oreo 6.0.0 Android ROM which starts coming from many developers for many devices recently as of writing this post. This is a list of available Resurrection Remix Oreo Downloads list which is not so big right at this moment but I will be adding the download and update guides as they will be made available by the developers across the globe. 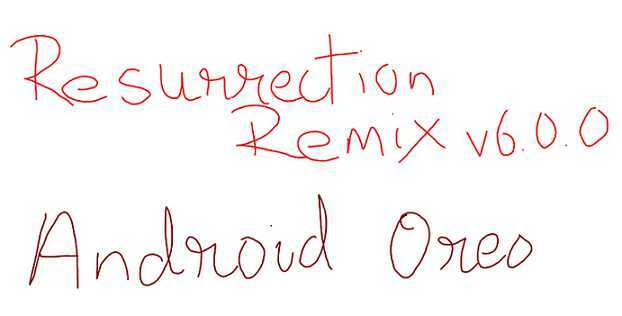 Resurrection Remix ROM is one of the popular ROMs after the LineageOS ROM (earlier known as CyanogenMod) among Android ROM developers and Custom ROM users. The Resurrection Remix ROM in short RR ROM is based on LineageOS custom ROM. Unlike the Android versioning scheme and LineageOS version numbers, RR follows a completely different version numbering scheme and it’s not straight forward to know which version of RR ROM is Android Oreo or Nougat or Marshmallow. For the same very reason I am here to collect all the Resurrection Remix Oreo ROM at one place. If you will watch closely the LineageOS version number matches the number of alphabet corresponding to the Android version. Resurrection Remix OREO ROM has the version number of v6.0.0 which is based on LineageOS 15 Oreo source code. This is important because you must know which Android version of Resurrection Remix ROM you are downloading for your phone, isn’t it !! As always the Resurrection Remix Oreo ROM does not come with pre-installed GApps (Google Applications) because of Copyright issues, so, you need an extra Android Oreo GApps Download. Also, this Resurrection Remix Oreo ROM does not come with built-in supersu or su binary for ROOT, hence you need and supersu ROOT binary to be flashed after the Resurrection Remix Android Oreo 8.1 ROM flashing. Please build me a rom for samsung galaxy j4 running OS 8.0. I can not find any rom for my Samsung galaxy j4. Please help me! Is there any chance that Samsung Galaxy S4(i9500) will receive 8.0/8.1?